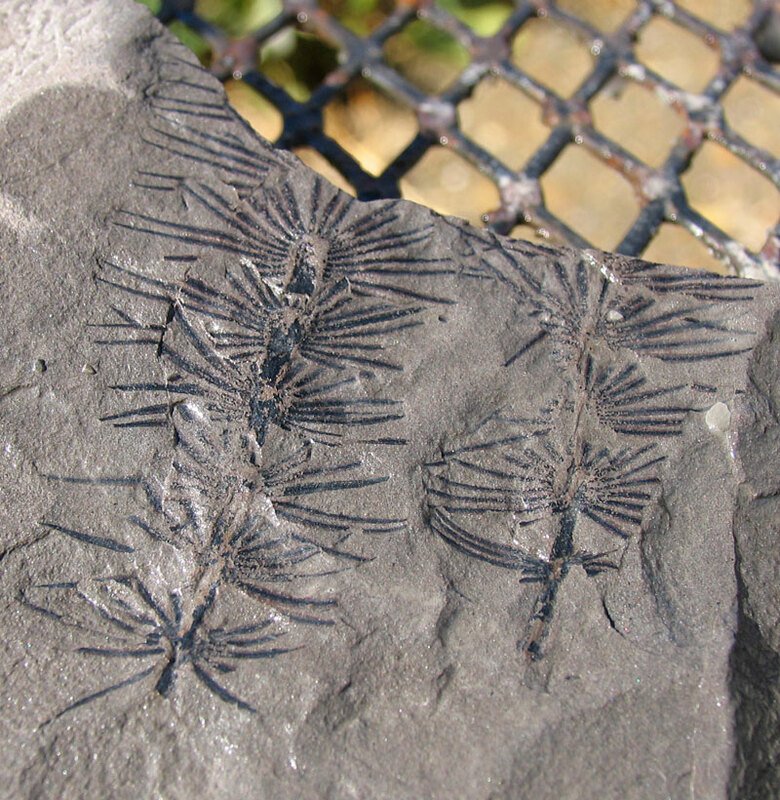 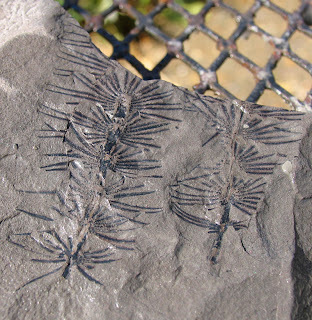 Pennsylvanian Period (Carboniferous for those outside the United States) plant fossils found in the Breathitt Group. 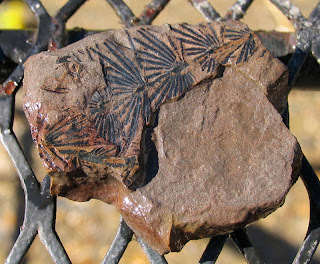 Found in Hazard, Kentucky (the coal area of eastern Kentucky created over 300 million years ago). 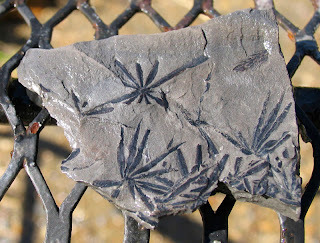 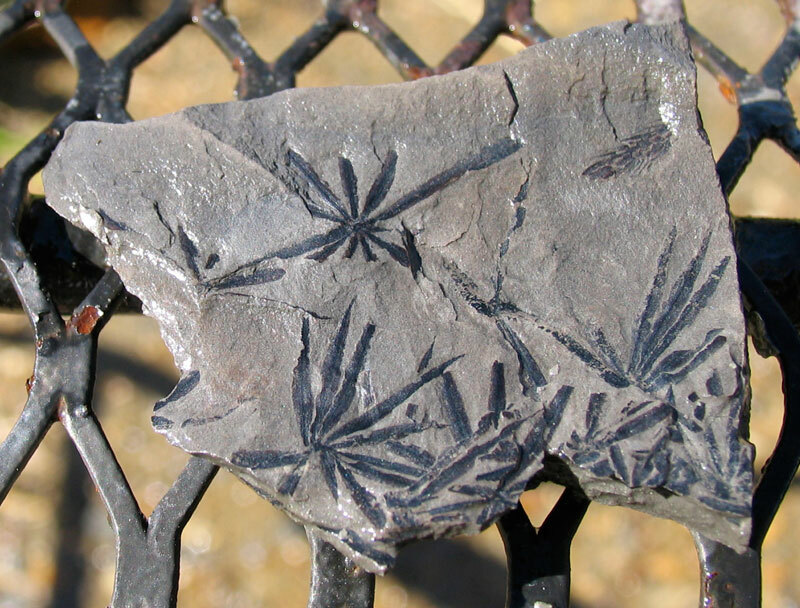 These fossil plants appear to be Annularia. Note: fossils photographed while wet to increase contrast. 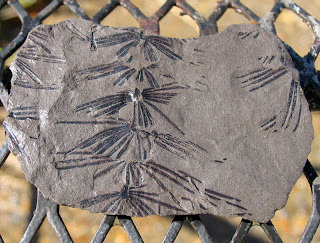 Thanks to Kenny for the fossils.